Long gone are the days of queueing up in shops for the hottest present or must-have gadget. It’s time to turn your sales online, and this is how to optimise them. The once American tradition now blesses British shores every year, bringing with it the promise of discounts and savings just in time for the Christmas holidays. Black Friday and it’s online counterpart; Cyber Monday, is the perfect opportunity for eCommerce businesses to excel in reaching annual targets and shifting more stock than usual. Still in its infancy in the UK, Amazon is currently known for being notorious experts in pushing these price-slashed days, taking up to 50% of online sales. Even newspapers post articles online listing the best deals from as early as the start of October. It’s estimated that 30% of annual retail sales occur between Black Friday and Christmas, and the days between Black Friday and Cyber Monday capture roughly 20% of all online holiday shopping. 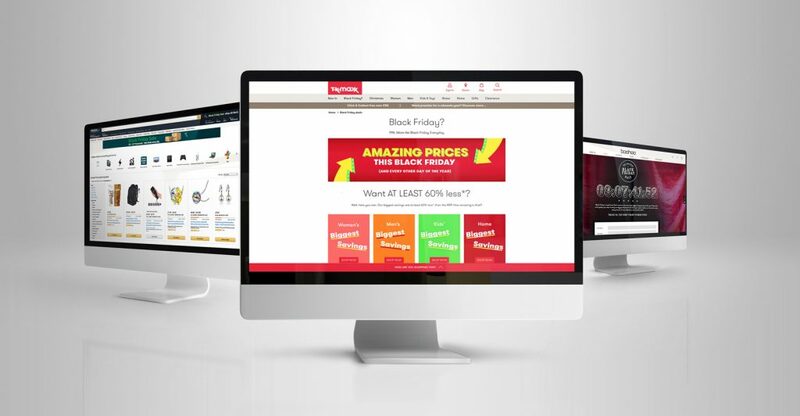 You now know it’s a big deal; but how can you ensure you’re prepared for Black Friday and Cyber Monday to fully optimise your sales? Here are our quick-fire tips on how to take advantage of the seasonal beast. You can’t advertise a sale through a campaign if your website doesn’t actually have the sale and is not optimised for it, right? Creating a dedicated landing page with a unique, recognisable URL (such as /black-friday) sets the wheel in motion. With this you can break down your offers, list your products up for sale and even experiment with new website designs to test improved usability. At the heart of this though, you need to have a separate page that addresses your Black Friday and Cyber Monday offers and deals. Tip: Create a discount code to be applied to sales, if prices can’t be amended on your webstore. It’s enticing, it’s big, it’s visual and can be just the ticket for securing traffic. Once you have your landing page, you need to bring users to it – and one of the most effective ways to obtain traffic quickly and effectively is through paid advertising. Maximise your potential by creating a new campaign within your Pay Per Click (PPC) accounts (Adwords/Facebook Ads; working with your existing keywords and targeting, but also introducing new keywords you wish to experiment with and adding indicators such as ‘sale’, ‘discount’, and ‘offers’ to the end of your keywords (ie. ‘tassimo coffee machine black friday’). Already have PPC set up? For some further reading and ideas, you can also take a look at Google’s 6 ways retailers can make this their busiest festive season ever. Remember: Even if you don’t partake in the sales, your competition probably will. Consumers often don’t regard the source of their purchase as a decisive factor – rather the price and savings. When you want a new TV and decide on what make and model you want, you’ll search John Lewis, Amazon, Currys, etc. to find the best deal. Saying ‘no’ to Black Friday and Cyber Monday is, in black and white, a missed opportunity. To explore your options for Black Friday/Cyber Monday and the rest of the holiday season, speak to our team of marketing experts at Echo Web Solutions today. Feel free to contact us online or by telephone on 01733 286646.